From Inner to Outer: Digression: Books I'm Reviewing—Lisa Moore's "Caught"
Digression: Books I'm Reviewing—Lisa Moore's "Caught"
In last year's notorious—harsh, mean-spirited, reductive, wrist-slapping—review of Alix Ohlin's story collection (Signs and Wonders) and novel (Open) in the weekend New York Times, William Giraldi dedicated some 1,387 words to condemnation of the sort that inspires visions of print runs being hurriedly gathered up and thrown into a gargantuan pile and then torched after being doused with gallons of gasoline. From Ohlin's "cliché-­strangled" sentences and the "insufferable schmaltz" of her sentiments to "language [that] betrays an appalling lack of register," Giraldi could find nothing except serial flaws of conception and execution. Giraldi also complained that Olin "has a baffling fondness for the most worthless word in English: 'weird.'" Regrettably, he set aside no paragraph to explain his empirical findings re: weird. How he determined word value, for example, or what methodology of quantification he relied on to arrive at "the most worthless word in English" will remain undisclosed, perhaps a mystery for the ages. I bring this up because his ferocity for a short time made me wary of dropping "the most worthless word in English" into daily conversations or, even more egregiously, into my own writing. I'd long used and liked the word, and found places for its inclusion often, from "We had a really weird conversation on the bus" to "That scene in Blue Velvet where Dean Stockwell lip-synchs to 'Candy Colored Clown' is really weird." (Okay, the second example is total fabrication. I've never spoken those words in my life, even though I do believe them.) Yes, I could have used "awkward and uncomfortable" in the former instance and "surreal" in the latter, but weird suffices too, right? 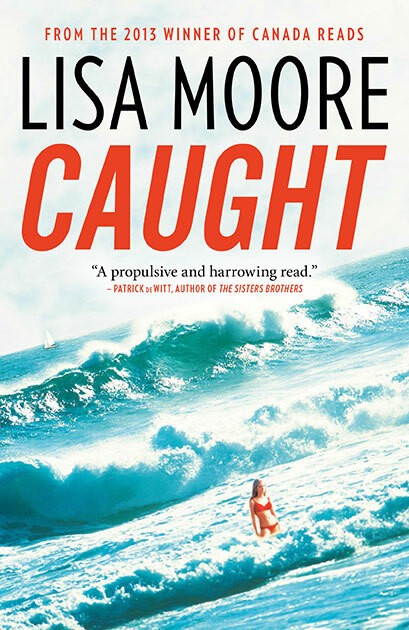 While reading Lisa Moore's Caught I thought, "What a weird scene" in several chapters. Writing the review I considered using "the most worthless word in English," but opted for "trippy," "oddball," "Twin Peaks," "touching-on-surreal," "stoner," and "Pineapple Express." Still, I could have easily inserted compound words: "funny-weird," "strange-weird," "eerie-weird," and, of course "delightfully weird." They're all apt. The actual review appears in The Vancouver Sun. Awe...I like Ohlin's Inside quite a lot and I think her language is pretty insightful and humorous--how is it polluting the literary culture? Maybe I should read Giraldi's "Busy Monsters" to get some clues. I wonder if he'd feel annoyed if I say that I think the title of his book is weird.